Designing for the medical field is not quite like designing for any other business. The design process, whether in the initial branding phase or well into an advanced marketing campaign, must include the perfect blend of aesthetic design, easily accessible medical data, and your medical brand’s message. Our award winning graphic designers can help you at any stage of your medical practice. They take the time to research and understand your brand to properly convey its message and purpose. In addition, unlike conventional designers, our graphic designers have a general understanding of medical concepts and can successfully portray them in both a visually striking and informative way. Whether you’re just started and looking to develop your brand or are an established practice with several offices and need help with your medical marketing, Graphics for Doctors will design medical ads and print collateral that will truly stand out and impress. Contact us today to schedule a free consultation with one of our medical design professionals. 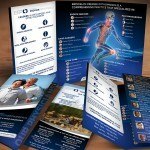 Here are some of the things we design for medical professionals. In our initial chat, we’ll get a sense of your business, what goals you have for it, and what will best work for you. Then after getting an idea of the work needed, we will offer the best solutions to deliver a design that will perfectly convey your brand’s message. Once we've developed a strategy together, we’ll start working. After our chat, we will begin working on your designs based on your needs described. A short time after, a digital proof will be emailed to you for review. From there, we will have a few more discussions about the direction of the work. We will continue to finesse your design until you are 100% happy with the finished piece. Once you’ve approved of the design work, we will deliver it to you in format in which you will be able to start using it right away. 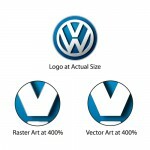 For digital work, we will provide the design in formats such as JPGs, PDFs, and PNGs, as needed. 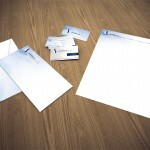 For print work, we will discuss what print options are available and, if desired, print it for you.